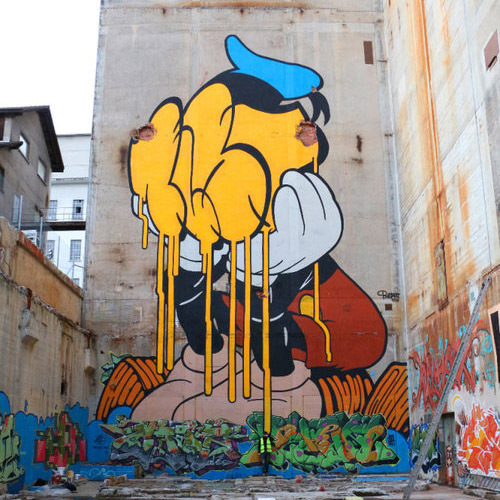 Bust is a neo-pop artist who feels entitled to tear characters and icons from their contexts to provide them a broader sense through new compositions. The road of Bust's consists of adapting, learning new techniques and applying them for further artistic progress. This process will inevitably lead to new creations. Furthermore, the street still is the most important medium for Bust. It makes communication possible with all passersby. This continues to be the greatest motivation of his art. There is still much to discover and to create. The big walls are waiting.